One of our former guest families visited us recently with an amazing gift! An-Mei stayed with us last year and has spent several months collecting donations to support RMHCA. It was wonderful to see how she is doing and during her visit, presented us with more than $700 and we couldn’t be more grateful! Our mission is about keeping families close and we are always humbled when a guest family is able to help us in return. An-Mei was diagnosed in July 2016 with non-Hodgkin’s lymphoma, Stage 1. After two surgeries, two rounds of chemo at Children’s of Alabama, she is cancer free now! 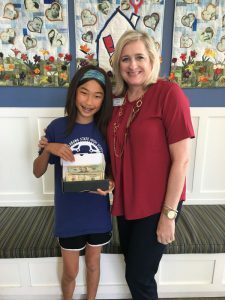 While she was recuperating at home, she needed something to do so she decided on raising funds for Ronald McDonald House because you were such a lifesaver for us. 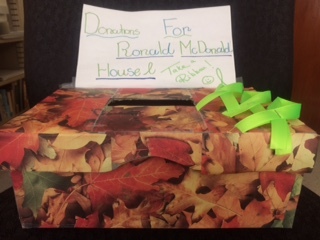 Many thanks to Ronald McDonald House! 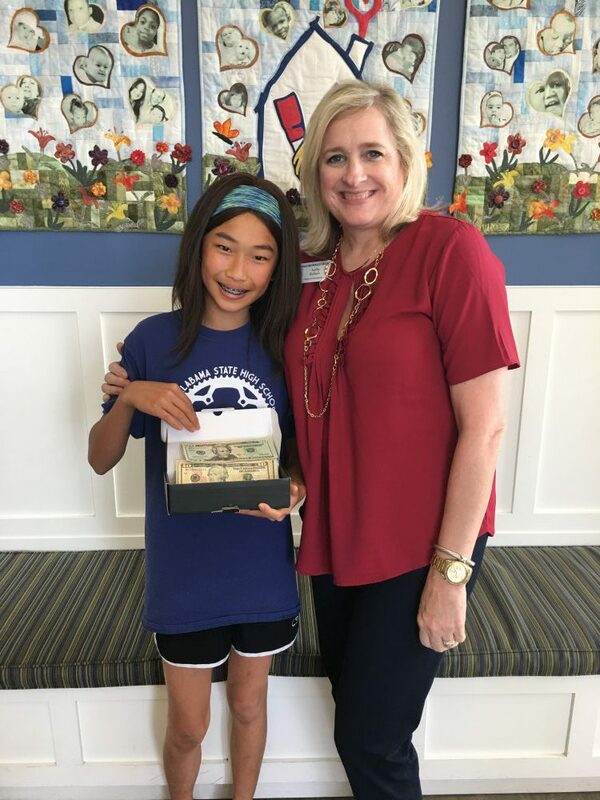 We put donation boxes that An-Mei made at our places of work (Auburn and Columbus State history departments) and at Auburn Unitarian Universalist Fellowship. Thank you An-Mei for your good work in keeping families close! Click here to read more Family Stories.